The i-5 BLUE is an LED wash light designed for temporary events and architectural installations, and is suitable for any application requiring extremely high output over long distances. The optics of the i-5 series have been designed to deliver superior blue light when illuminating structures over long distances, and is ideal for applications where the light sources can be hidden from view. The fixture packs a significant punch with its 203 high-power blue LEDs. 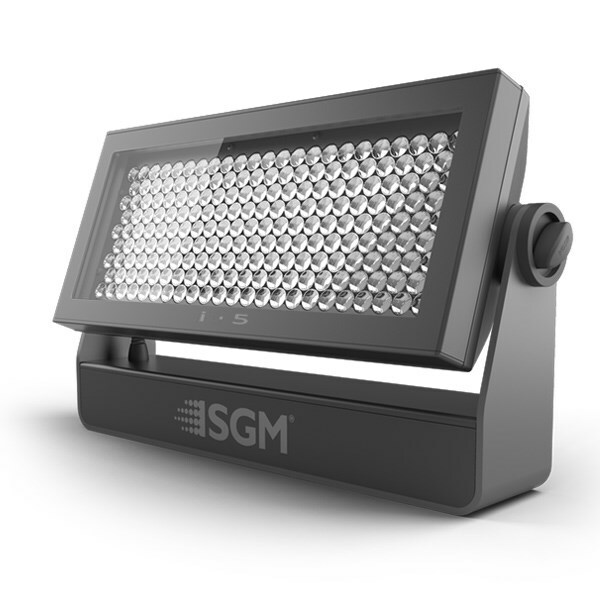 The i-5 series fixtures are color calibrated and come with an optional honeycomb for maximum control of the output. IP65 Neutrik HD locking XLR 5-pin cable 0.5m, for DMX in and out.